Imagine an entire wall of glass that's a system of frameless doors, allowing you a unique, uninterrupted view of the outside. Our system is gracing homes in more than 25 countries around the world, and more than 3,000 homes right here in Southern California! 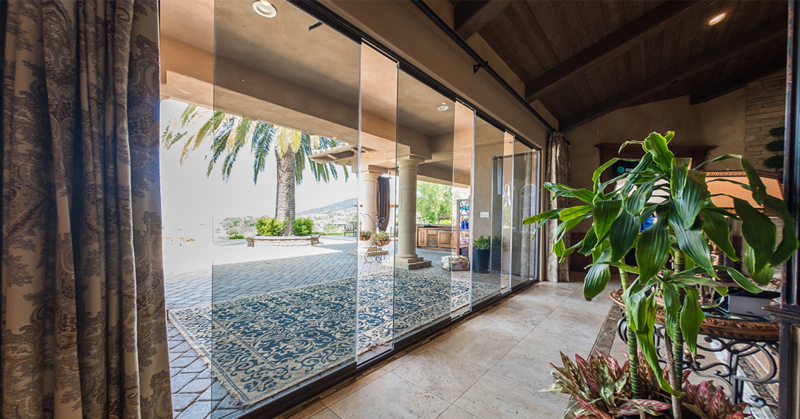 Here are four amazing features of our Frameless Sliding Glass Doors that might convince you that it's the right patio or balcony door system for you. Cover Glass doors slide open from left to right or right to left and stack against one another. Once stacked, powerful magnets hold them securely in place. But here's the best part: When stacked, each panel takes up only 1 inch of space. That gives you much more space for entering and exciting than you'd get with a typical patio door, and it looks sleek and modern as well. No unsightly track and no uneven surfaces are just two of the many reasons you'll love your new Cover Glass System! The recessed track can be flush with the floor, and the upper track can be hidden behind your wall, and because they're also frameless, they create the appearance of a glass wall that you can open and close at will. Since you can choose to open one door at a time -- or all of them at once -- you get to decide what works best for you at any given moment. Need a lot of room for a crowd when entertaining? Open them all and make passing through a breeze! Feel the need for little fresh air, but would slightly not open any of the doors? Another unique feature of Cover Glass is the inherent ability to ventilate your space naturally. (Since each folding glass door panel slides individually, users can choose to open one or a few panels to create gaps within their system for natural air flow. And what if you're not looking for a straight line of folding glass doors? What if your space includes some tricky angles? It's not a problem with Cover Glass! Thanks to our unique, flexible track system, your wall of glass doors can quickly turn a few corners. 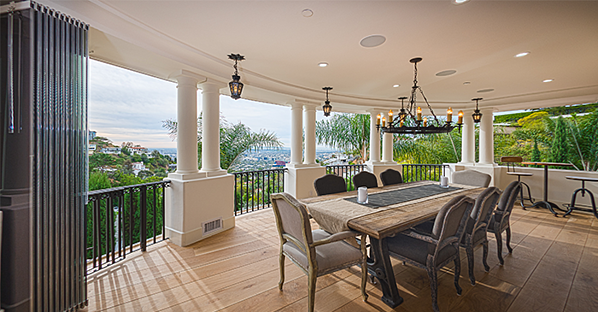 Open floor plans are all the rage these days, and uninterrupted vistas are one of the reasons for their popularity. 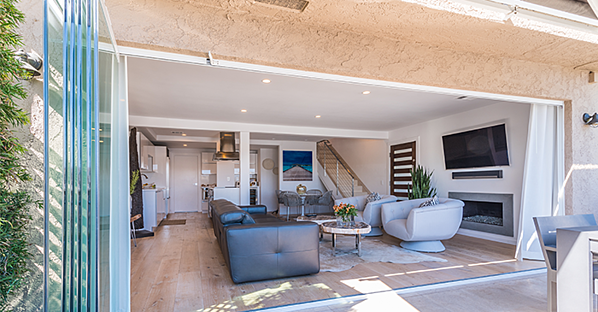 Cover Glass enhances an open concept, allowing you to invite nature inside, blurring the line between indoors and outdoors, and making your living space feel even more expansive at the same time. In fact, installing Cover Glass folding patio doors will increase the value of your property! Another important fact about the Cover Glass patio door system? It's fully approved by the National Certified Testing Laboratories and is California Title 24 (covering building energy efficiency standards), so you can feel confident in both the quality and performance of a Cover Glass System. Once you order your Cover Glass frameless door system, it will arrive and be ready for installation in just weeks. 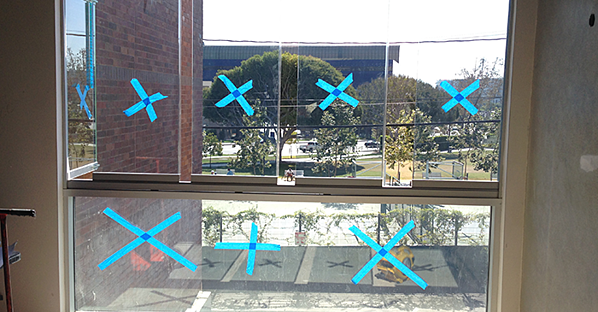 Then, our expert installers can install up to 18 feet of Cover Glass per day. Want to have an accurate estimate on your project?